What it boils down to is that all wildcats got a third scientific name. For example, gordoni is the Arabian wildcat’s third name. F. s. cafra is found in southern and southeastern Africa. F. s. lybica lives in northern Africa, coastal Arabia, the Near and Middle East, southwestern Asia, and on most Mediterranean islands. This is gordoni’s group. Special note: This post is adapted from one that I posted earlier this year at my other blog, RobinHuntingdon.wordpress.com. 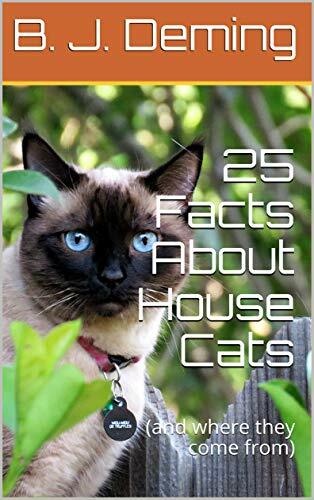 I am very busy working on the final draft of “50 Facts About House Cats” and today I got up to Fact #12, which is about wildcats and domestic cats. I don’t know that I’ll be able to get all fifty facts together in final draft by Cyber Monday; my alternate self-publication goal is December 15th. Ultimately, though, since I’m not facing a contract deadline, the book will be published when it is in the most complete and enjoyable form that I can achieve for the reader. Thanks to everyone for your interest! Featured image: European wildcat in open-air enclosure in Bavarian Forest National Park: Aconcagua (talk). CC BY-SA 3.0. Flying Scottish wildcat, Cormack by name, at the British Wildlife Centre: Peter Trimming. CC BY 2.0. Arabian wildcat: Michal Mañas. CC BY 2.5. 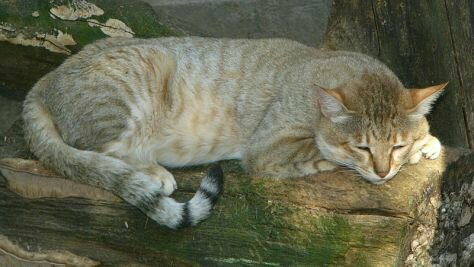 Felis silvestris lybica (Sardinian wildcat): Gurtuju. CC BY-SA 3.0. European wildcat: Luc Viatour/www.Lucnix.be. CC BY-SA 3.0. Asian wildcat video https://www.youtube.com/watch?v=Qsy69yIFSWI: Wild India. Bieti: 西宁野生动物园. CC BY-SA 3.0. Anderson, E., and Stebbins, Jr., G. L.: 1954. Hybridization as an evolutionary stimulus. Evolution. 8(4):378-388. Arnold, M. L. 2004. Transfer and origin of adaptations through natural hybridization: Were Anderson and Stebbins right? The Plant Cell. 16:562-570. Barton, N. H., and Hewitt, G. M. 1985. Analysis of hybrid zones. Annual Review of Ecology and Systematics. 16:113-148. Dowling, T. E., and Secor, C. L. 1997. The role of hybridization and introgression in the diversification of animals. Annual Reviews of Ecology and Systematics. 28:593-619. Driscoll, C. A.; Menotti-Raymond, M.; Roca, A. I.; Hupe, K.; and others. 2007. 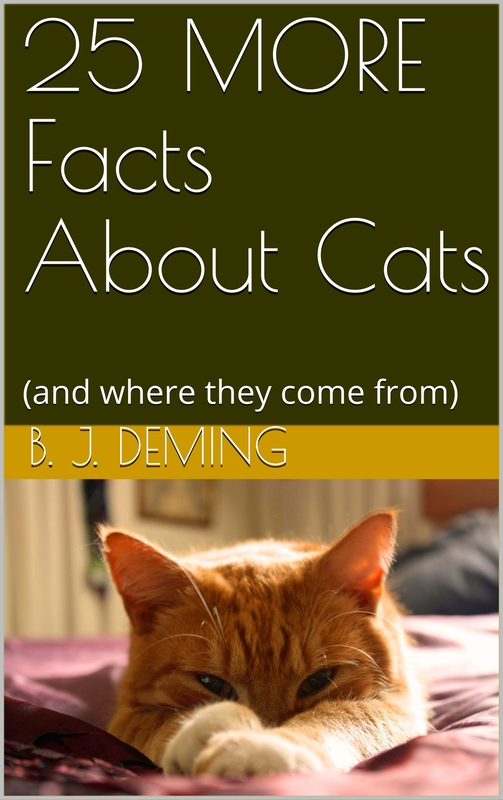 The Near Eastern origin of cat domestication. Science. 317:519-522. Driscoll, C. A.; Macdonald, D. W.; and O’Brien, S. J. 2009. From wild animals to domestic pets, an evolutionary view of domestication. Proceedings of the National Academy of Sciences, Supplement 1. 106:9971-9978. Driscoll, C.; Yamaguchi, N.; O’Brien, S. J.; and Macdonald, D. W. 2011. 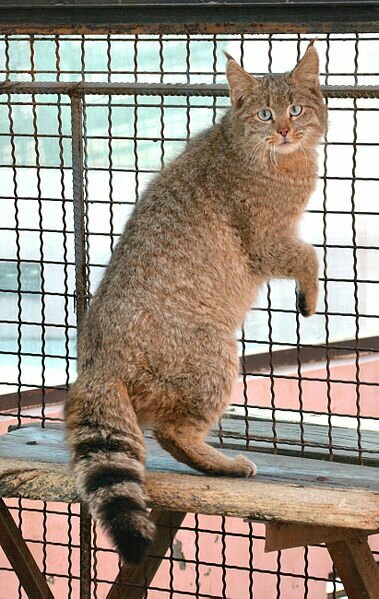 A suite of genetic markers useful in assessing wildcat (Felis silvestris ssp.) – domestic cat (Felis silvestris catus) admixture. Journal of Heredity. 102(SI):S87-S90. Herbst, M. 2009. Behavioural ecology and population genetics of the African wild cat, Felis silvestris Forster 1870, in the southern Kalahari. PhD thesis, University of Pretoria. http://repository.up.ac.za/bitstream/handle/2263/28963/Complete.pdf?sequence=6 Last accessed November 4, 2015. Hewitt, G. 2000. The genetic legacy of the Quaternary ice ages. Nature. 405:907-913. Johnson, W. E.; Eizirik, E.; Pecon-Slattery, J.; Murphy, W. J.; Antunes, A.; and Teeling, E. C. 2006. The Late Miocene Radiation of Modern Felidae: A Genetic Assessment. Science. 311:73-77. Kitchener, A. C.; Yamaguchi, N.; Ward, J. M.; and Macdonald, D. W. 2005. A diagnosis for the Scottish wildcat (Felis silvestris): a tool for conservation action for a critically-endangered felid. Animal Conservation. 8:223-237. Kitchener, A. C., Van Valkenburgh, B., and Yamaguchi, N. 2010. Felid form and function, in Biology and Conservation of Wild Felids, ed. D. W. Macdonald and A. J. Loveridge, 83-106. Oxford: Oxford University Press, Oxford. Kurtén, B. 1965. 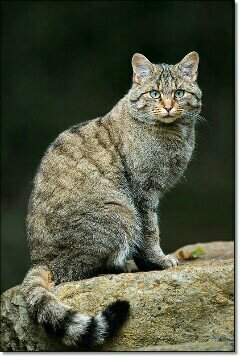 On the evolution of the European wild cat, Felis silvestris Schreber. Acta Zoologica Fennica. 111:3-29. Macdonald, D. W.; Yamaguchi, N.; Kitchener, A. c.; Daniels, M.; Kilshaw, K.; and Driscoll, C. 2010. Reversing cryptic extinction: the history, present, and future of the Scottish wildcat, in Biology and Conservation of Wild Felids, ed. D. W. Macdonald and A. J. Loveridge, 471-491. Oxford: Oxford University Press. Mallet, J. 2005. Hybridization as an invasion of the genome. Trends in Ecology and Evolution. 20(5):229-237. Montague, M. J.; Li, G.; Gandolfi, B.; Khan, R.; and others. 2014.Comparative analysis of the domestic cat genome reveals genetic signatures underlyling feline biology and domestication. Proceedings of the National Academy of Sciences. 111(48):17230-17235. Nussberger, B.; Wandeler, P.; Weber, D.; and Keller, L. F. 2014. Monitoring introgression in European wildcats in the Swiss Jura. Conservation Genetics. 15:1219-1230. O’Brien, S. J., and Koepfli, K-P. 2013. Evolution: A new cat species emerges. Current Biology. 23(24):R1104. Oliveira, R.; Randi, E.; Mattucci, F.; Kurushima, J. D.; Lyons, L. A.; and Alves, P. C. 2015. Toward a genome-wide approach for detecting hybrides: informative SNPs to detect introgression between domestic cats and European wildcats (Felis silvestris.) Heredity. 115:195-205. Pierpaoli, M.; Birò, Z. J.; Herrman, K.; Fernandes, M.; and others. 2003. Genetic distinction of wildcat (Felis silvestris) populations in Europe and hybridization with domestic cats in Hungary. Molecular Ecology. 12:2585-2598. Randi, E. 2008. Detecting hybridization between wild species and their domesticated relatives. Molecular Ecology. 17:285-293. Randi, E., and Ragni, B. 1991. 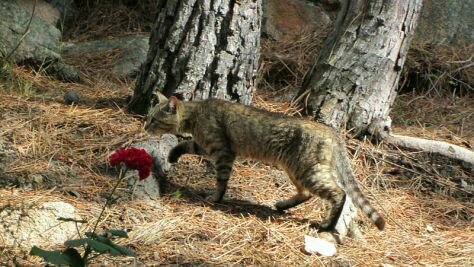 Genetic variability and biochemical systematics of domestic and wild cat populations. (Felis silvestris: Felidae). Journal of Mammalogy. 72(1):79-88. Rhymer, J. M., and Simberloff, D. 1996. Extinction by hybridization and introgression. Annual Review of Ecology and Systematics. 27:83-109. Shurtliff, Q. 2013. Mammalian hybrid zones: A review. Mammal Review. 43:1-21. Werdelin, L.; Yamaguchi, N.; Johnson, W. E.; and O’Brien, S. J.. 2010. Phylogeny and evolution of cats (Felidae), in Biology and Conservation of Wild Felids, ed. D. W. Macdonald and A. J. Loveridge, 59-82. Oxford: Oxford University Press. Yamaguchi, N., Driscoll, C. A., Kitchener, A. C., Ward, J. M., and Macdonald, D. W. 2004. Craniological differentiation between European wildcats (Felis silvestris silvestris), African wildcats (F. s. lybica) and Asian wildcats (F. s. ornata): implications for their evolution and conservation. Biological Journal of the Linnean Society. 83:47-63.